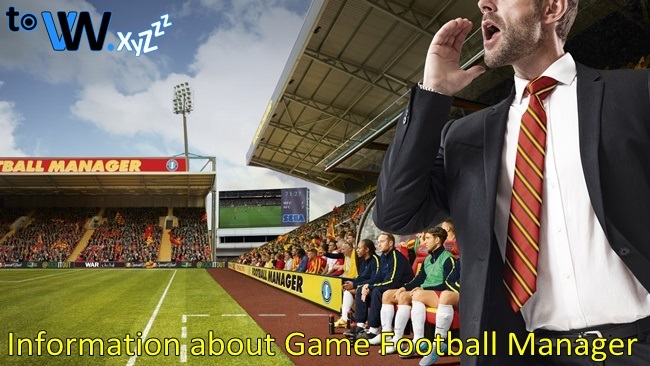 What is Game Football Manager (FM)? One of the most played genres is about sports, especially soccer. There are many soccer games that are very fun to play like Game Football Manager. In 2016, Football Manager became one of the best games on Steam. Since its inception in 2004, Football Manager has indeed entered the 100 best games in the world. Game Football Manager is widely played by people all over the world. Football Manager or FM is a football manager simulation game that Sport Interactive (SI) after SI parted ways with Eidos. Previously, the two companies developed a similar game called Championship Manager. After parting ways Sport Interactive re-released the game in collaboration with SEGA with the title Game Football Manager. The first series of Football Manager was released in November 2004, namely the Football Manager 2005 series. The first series of Football Manager 2005 was the only latest soccer simulation game on PC. Sport Interactive continues to grow with the release of the latest series of Game Football Manager until now with the Football Manager 2019 series. Many changes to the Football Manager game every series, especially in the game features and good graphics, especially in Gameplay matches. Football Manager competitors like Championship Manager or Fifa Manager stop to develop the game. Like the Championship that exists in the Mobile version while the Fifa Manager only reaches the 2014 series. Game Football Manager can add knowledge about a Manager to his players, various full features such as a Professional Manager. 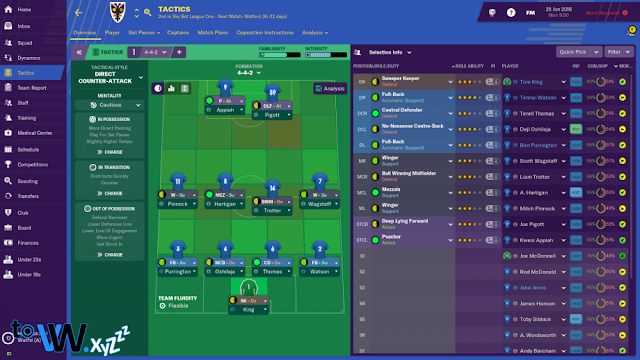 To successfully play Football Manager games, players must determine the right strategy, determine Formations, Player statistics, Buy and Sell players, and determine the player's progress. Tactics during matches so that players make short passes or long passes, play wide or close to the center, attack from the side of the wing or from the middle of the field, use high or low defense blocks, play with high tempo or slow, defend or attack. The other great thing about Game Football Manager is that players must be able to manage Club Finance well and carefully. Clubs that have financial problems will find it difficult to develop because they cannot buy players other than that they cannot afford to pay the player's salary. More fatal is the European Champions League and European League regulations regarding Financial Fair Play Regulation (FFP), which prohibits the Club from appearing in the competition if conditions are financially bad. This is an exciting challenge because players not only set match statistics or formations, but also pay attention to the club's financial condition. Some sources of funds can be obtained from club owners and sponsors. To get a lot of sponsors, the club must play well. Players are also required to arrange training schedules, organize each match. Do not let players who have good performance get injured. Prepare a strategy when fighting those in the top standings with clubs in the bottom standings. The training menu in Football Manager is divided into two, namely training for teams and training for individual players. General training is a daily exercise menu that will be obtained by the players. In this general training we can arrange the type of exercise according to the needs of the team. Before the match, players will get a report from the Opponent Analyst about the opponents we will face. Usually the report contains the highest number of Assists and Scorers during training. Football Manager gives players an idea of ​​the structure of a professional football team. Clubs must have proper legal entities and stadiums, a team of professionals must certainly have a clear organizational structure. From club owners, directors, sports directors, talent guides, managers and assistant managers and coaching staff such as goalkeeping coaches, physical trainers and physiotherapists. Players can find out about a Club in full and detail. If you play the latest Football Manager series that always gets updated, in this game you will get information about the latest young and talented players. In Football Managaer there is a list of Wonderkids that provide information about young players. Like Cristiano Ronaldo, Lionel Messi and Neymar who entered the Wonderkid list in a number of previous Football Manager series and it is true that in the Game or Real World the player is the best player. This list can be used for clubs looking for players at lower prices, if the player develops well then the club can sell it at a high price. One of the successes of playing Football Manager games. Currently Football Manager is also available in the Mobile version, which can be played on a Smartphone. Although the Football Manager Mobile feature is not as complete as the PC version, it is quite exciting to play. That is information about Game Football Manager (FM), hopefully it will become a reference for those of you who don't know about the game. Thank you for visiting the ToveweXYZ Website. You can try installing and playing Game Football Manager on Laptops, if you can buy on Steam easily. Keyword Search: Football Manager (FM), What is Football Manager (FM), Game Plot Football Manager (FM), Game Football Manager (FM), Game Information Football Manager (FM), Game Review Football Manager (FM), Game Synopsis Football Manager (FM), Gameplay Football Manager (FM), Regarding Game Football Manager (FM), About Game Football Manager (FM), Information about Football Manager (FM), How to Game Football Manager (FM), Complete Information about Game Football Manager (FM), Series Football Manager (FM), Details Info Football Manager (FM).